A look back (first published 7.1.16): Days without sunshine in Naples, Italy feel wrong … but when they pass the relief is like the burst of light at the end of an unexpected tunnel. 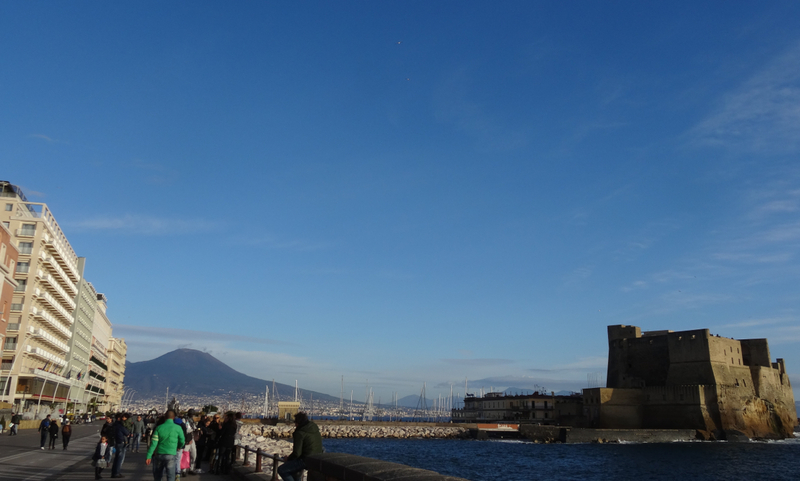 This entry was posted in Italy, Naples, Other discoveries in Naples and tagged Castel dell'Ovo, Italy, Lungomare di Napoli, Naples, sunshine and light, Vesuvius. Bookmark the permalink.